The world is full of stories of entrepreneurs who were seemingly born with the traits and tricks required to be successful in business. For example, Nigerian businessman Aliko Dangote, recalls buying cartons of sweets as a child in primary school and selling them to make money. But if you ask South African entrepreneur Rapelang Rabana if she had any similar experiences as a child, she is very quick to dismiss the question. Rabana co-founded her first company, Yeigo, in 2006, straight after finishing her degree in computer science at the University of Cape Town. Yeigo ended up developing some of the world’s earliest mobile VoIP applications and was eventually acquired by Switzerland-based Telfree Group. In 2013 she went on to launch the award-winning digital learning platform, Rekindle Learning. Her entrepreneurial success has not gone unrecognised. 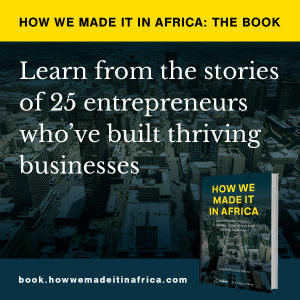 Some of Rabana’s many accolades include being featured on the cover of Forbes Africa magazine before the age of 30, and being selected Entrepreneur for the World (youth category) at the World Entrepreneurship Forum in 2014. Most recently she has been named as a Young Global Leader by the World Economic Forum. But Rabana admits she never considered entrepreneurship a calling when she started her first company. She warns others against subscribing to a set of rules on how to be an entrepreneur. For example, when asked whether she thinks aspiring entrepreneurs should first work for someone else before venturing out on their own, she said: “In business, as with life, one cannot resort to absolutes or believe that there is a definitive way of doings things because, simply put, there isn’t – and trying to make strict rules about the ‘how to’ of business is largely unhelpful. That said, she does advise aspiring entrepreneurs to ask themselves some important questions before starting their own business – and to answer them honestly to ascertain whether they are being realistic about their ambitions. Questions include: Why do you want this? Is this aligned with who you are? Can you see yourself doing this for five to 10 years? “Beginning a start-up is an immense commitment that will use all of your time and energy. If the motivation for beginning is not clear or has been flippantly considered then, I assure you, it is nigh on impossible to find success. One must be aware that what you are embarking on will take huge sacrifice on many levels, so it is imperative that you have a conviction that you prepared to spend years proving and are prepared to give of yourself totally in order to make it work,” she emphasises.